Cpl. 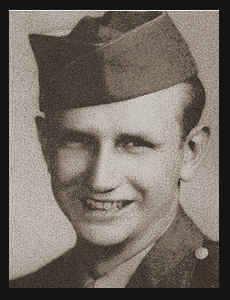 Joseph M. Sears, son of Mr. and Mrs. H. B. Sears, graduated from Central High School, Oklahoma City, Okla. Univ. ; husband of the former Marguerite Taylor. Entered Army in 1944, trained in Camp Abbott, Ore., Santa Anita, Bakersfield, Pomona, Camp Haan, Cal., Camp Shelby, Miss. ; served in England, France, Belgium, Germany; is now on duty in Ft. Leonard Wood, Mo. Awarded Good Conduct Medal, ETO Ribbon with two Battle Stars, Am. Defense Ribbon, Cert. of Merit.